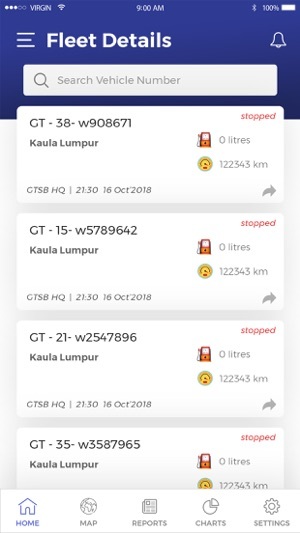 gFleet+ is an advance fleet monitoring service provided by Gussmann Technologies Sdn Bhd for iOS users. All existing customers from Gussmann Technologies Sdn Bhd can use their fleet.avls.com.my username and password to login. 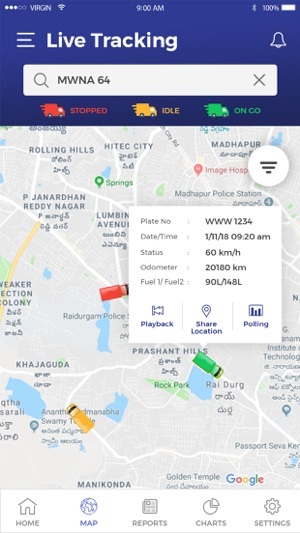 It uses the latest technologies from Apple iOS smartphones system to significantly enhance the operation of the customer's fleet by improving the quality of service, raising the efficiency and lowering the operating costs of their assets. We appreciate the support given by all of our customers all years long and in return we develop this FMS mobile application free of charge for them. We also recognized the need for individual and bundled solutions that can be customized to client needs by ability to cover unique processes and requirements. Gussmann is addressing all the industry-specific challenges and overcome all the barriers unprecedented in the Fleet Management Industry. ï Fleet - SmartFleet styles monitoring of each of the vehicles status in LIVE in action and view their location LIVE in google map. 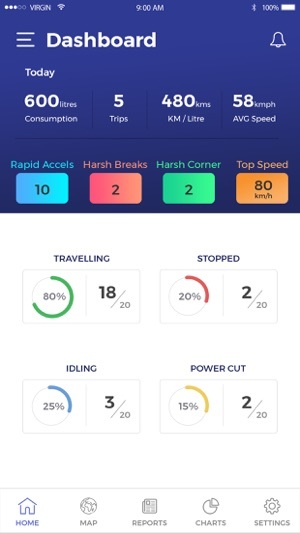 ï Fuel - Fuel Summary of your whole Fleet of vehicles . ï Chart - Fuel Analysis Chart that enable customer for better understand of their truck usage. ï Alerts - All alert come in LIVE like power cut, panic and overspeed. ï Improve of fuel usage, reduce of siphoning and discover discrepancy refuel resit. ï Real-time monitoring into your whole Fleet of operation no matter it is 1 or 1000 vehicles. ï Reduce overhead, reduce unnecessary operation hour, reduce of wasted mileage and etc. ï Improve customer relationship with accurate information for your end customer.